At the same time, notable changes in RAP payments will compound this impact. RAP auto cancellations remain the same at 90 days (60 days after the RAP is paid), resulting in a significant gap in receivables considering the 30-day payment periods – essentially at 90 vs. the current 120 days. In addition, agencies that become certified as of 1/1/19 and after will no longer be eligible to receive RAP payments. 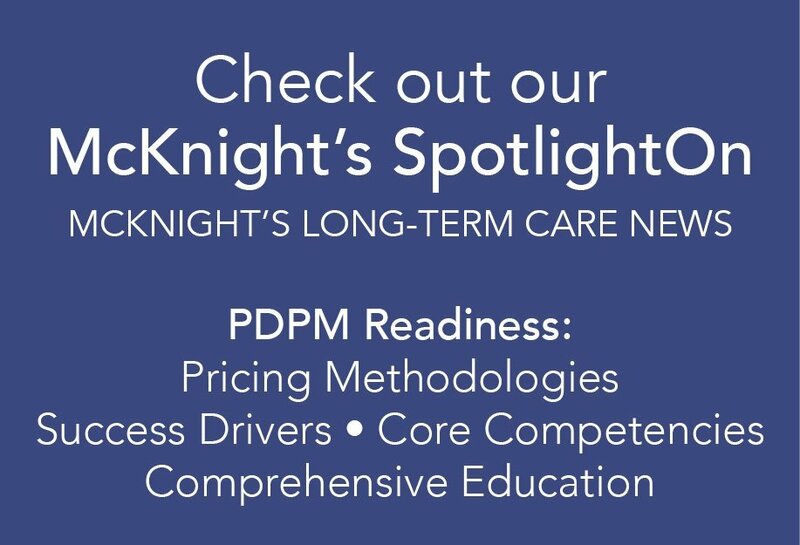 Staying ahead of these changes requires a comprehensive understanding of current revenue cycle and billing processes to determine opportunities that will enhance your success with PDGM. In addition, ensuring your agency has strong case management processes, timely, accurate clinical documentation submission and review, will mitigate related risks that could also impact revenue cycle. What is the average time to drop RAPs? The current national average is approximately 12 days and a good goal within PDGM is 5 days. What is the average time to process a final claim? There are no changes to the requirements to submit a final claim. What opportunities exist to shorten the time to process final claims? Any order that has implications across multiple payment periods has to be signed in order to remain complaint in billing all of the impacted payment periods. Upon completion of a root cause analysis, are there any potential bottlenecks in processing both RAPs and final claims? What can be done to remove these bottlenecks? Are you holding clinicians accountable to timely completion of all clinical documentation? How are you monitoring and managing timely submission of documentation? Do you have a process in place to review all admissions within the interdisciplinary team to ensure completion of all required elements to submit RAPs timely? Have you considered including a billing representative in these reviews? What is your current process for tracking compliance with physician signatures? Can you develop a more systematic follow-up process for ensuring physician compliance with signatures? Can you standardize expectations with timeframes for faxing, calling, and visiting physician’s offices to secure signatures on orders, etc.? With the anticipated increase in volume of claims being processed with PDGM, do you need to consider dedicating additional resources to billing functions? How are you conducting an effective case management process? Are you ensuring discharge planning is occurring at the time of admission to home health services? Are these discussions considering the 30-day payment periods and appropriate discharge planning around that? What is your current process to ensure compliance with all billing requirements? Does opportunity exist to streamline the review process and increase efficiency with meeting requirements? Could you implement a process for review of claims data to ensure accuracy before billing? HealthPRO® Heritage at Home is prepared to help you execute and succeed in this transition! We understand the changes required for success and have the ability to support agencies in assessing related risk, making necessary changes, and developing collaborative care management processes aligned with the success drivers of PDGM. In addition, as trusted therapy partners, we want to be involved in developing processes that will appropriately assess care needs and assure timely documentation in support of revenue cycle objectives.